Click here for a printable Bridgewater Menage Series Reader Guide. Forced to marry by her father, Ann runs away only to be rescued by two military officers. Lt. Colonel in US Army. Dark beard is soft against skin in very special places. Army captain, thinks good girls are allowed to have very naughty thoughts. Is a good girl who discovers she likes very naughty, very dirty things. Available for free. Click here. 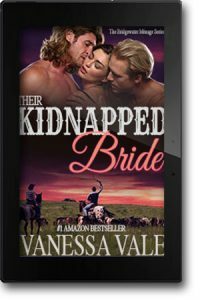 Their Kidnapped Bride – Book 1 – FREE! 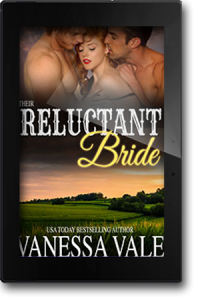 Sold to a brothel, Emma is bought and married to two cowboys from a virgin auction. Doesn’t hesitate to outbid scoundrels to save a woman. His Scottish brogue has Emma dropping her drawers. How can she resist two dominant men, especially in bed? 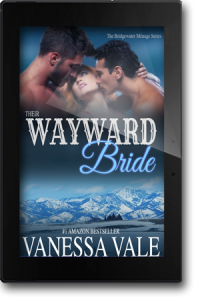 A cruel fiancé drives Laurel into a blizzard and is saved by two Englishmen. Likes a good snowstorm, especially when he finds a woman. Makes use of the dinner table for more than just meals. Sleeping between two men is a great way to stay warm. 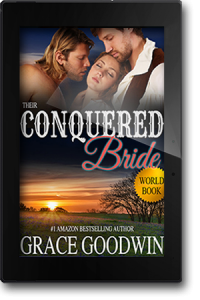 Three men marry Olivia to protect her from a dangerous man. The American who likes to watch Olivia play… with her men. Likes to read literature and dominate his bride. Doesn’t know gentle persuasion, only brash demands. Olivia: Because two cowboys are not enough. Before her brother dies, he proxy marries Rebecca to a fellow soldier—and his friend. A surprise bride is better than he imagined. Doesn’t mind spanking a willful wife. An English rose, she doesn’t wilt under her husbands’ demands. After nasty rumors are spread, Allison flees town, but two dominant men have other ideas. He has no qualms about claiming his bride in a jail cell. Being married on Christmas Day is the best gift he could receive. She’d fled town but never expected to be captured. 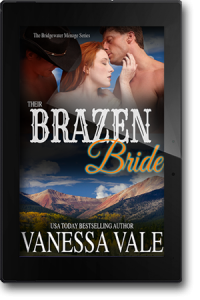 A widow accepts marriage to two cowboys for protection against a blackmailer. His parents may have had a plural marriage, but he wanted one of his own. 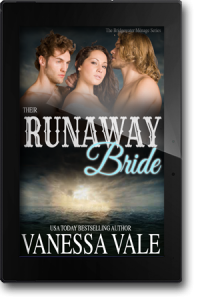 He pushed his bride to do things she never imagined. She never did anything like this with her first husband. A mail order bride is saved from a cruel bridegroom by two possessive foreigners. 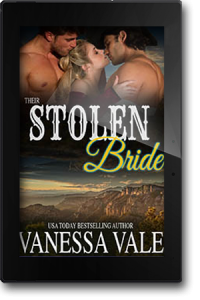 She might be the old lech’s mail order bride, but he wasn’t letting him get his hands on her. If Lizzie wanted it, he’d give it to her. Her carnal desires, once expressed, became reality. Again and again. Being a fake fiancé is not what either Parker or Sully have in mind. They will wed Mary and nothing else. 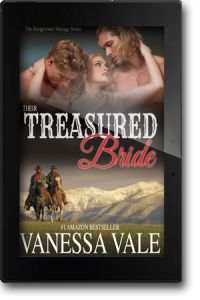 A bargain made, he follows through and protects her… with marriage. Shooter Sullivan claims a bride. She only wanted a pretend fiancé, but ended up married to two men. One of them an infamous outlaw. Gabe and Tucker Landry have waited years for Abigail. They won’t let something like a fiancé get in the way. Even if it means danger. His patience can last only so long. He’ll protect her, whatever the cost. She’ll save her men at any cost.